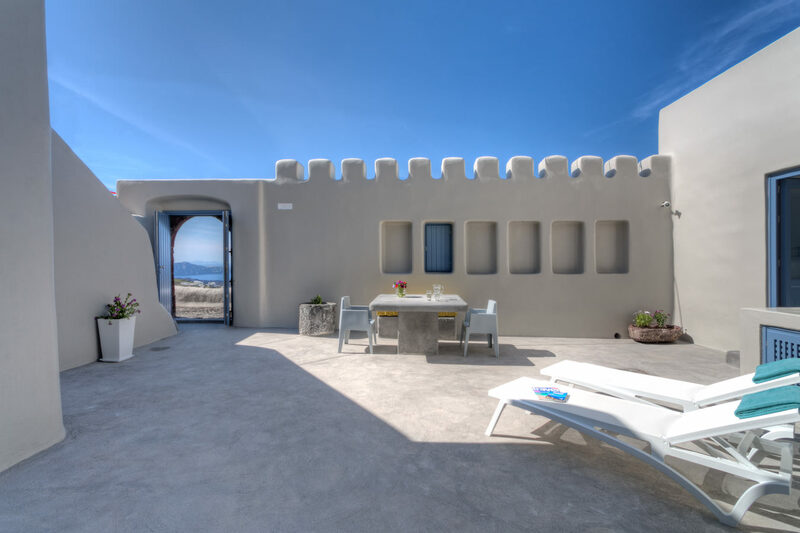 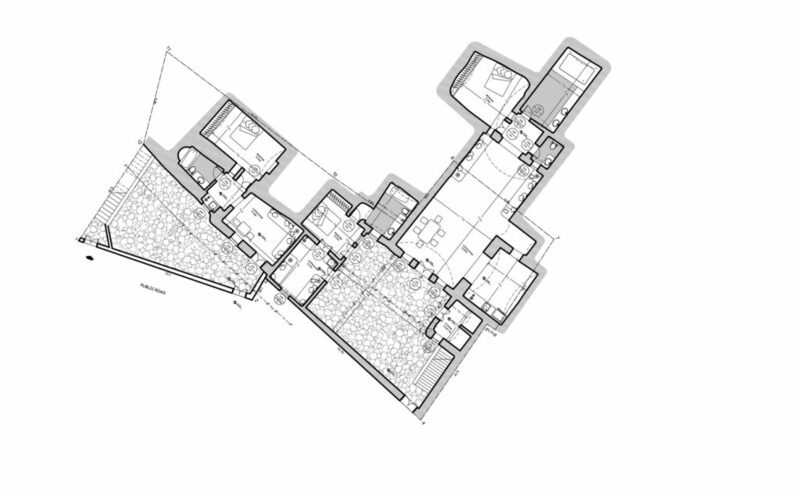 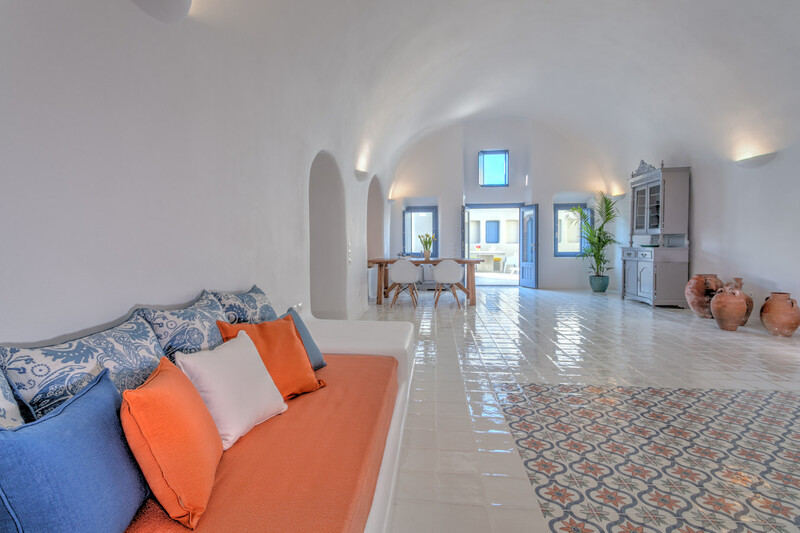 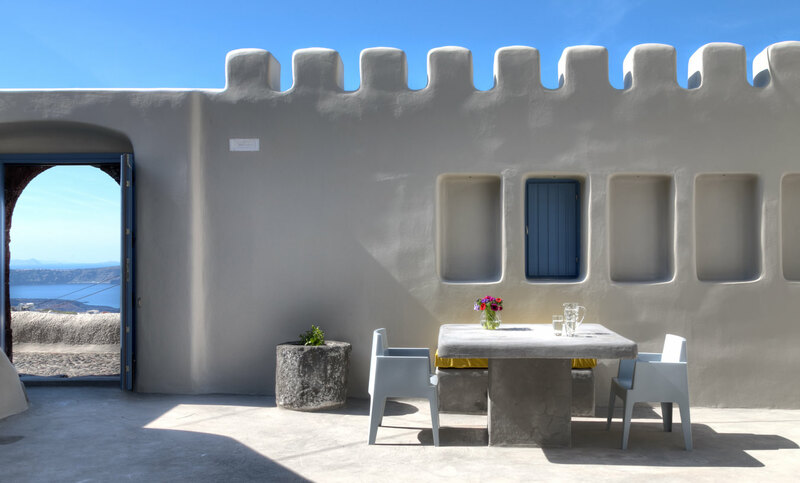 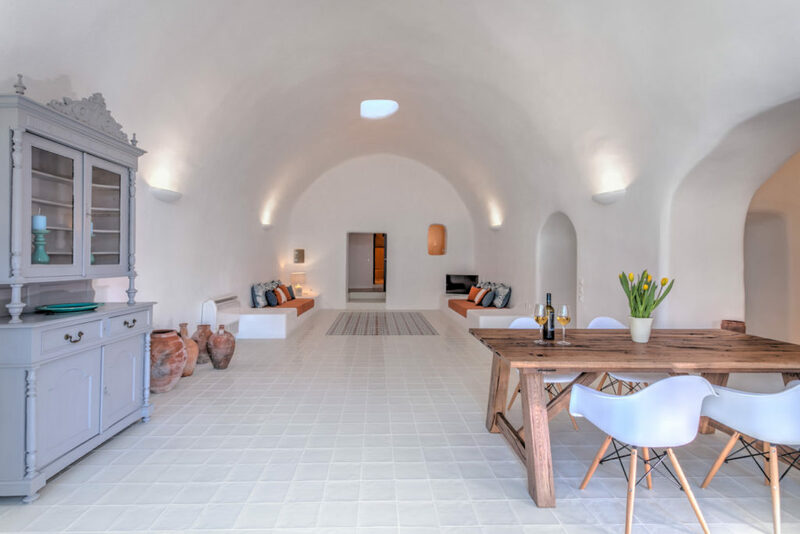 A renovated canava transformed into a luxurious villa, respecting the traditional architecture of Pyrgos. 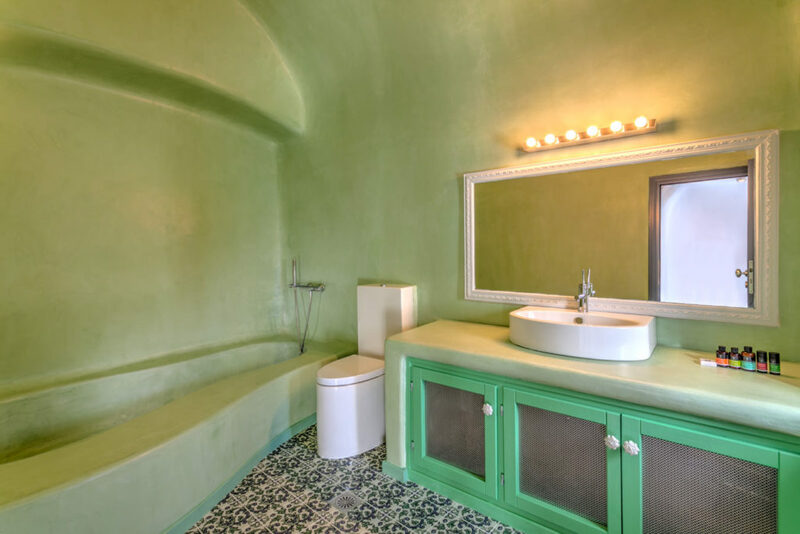 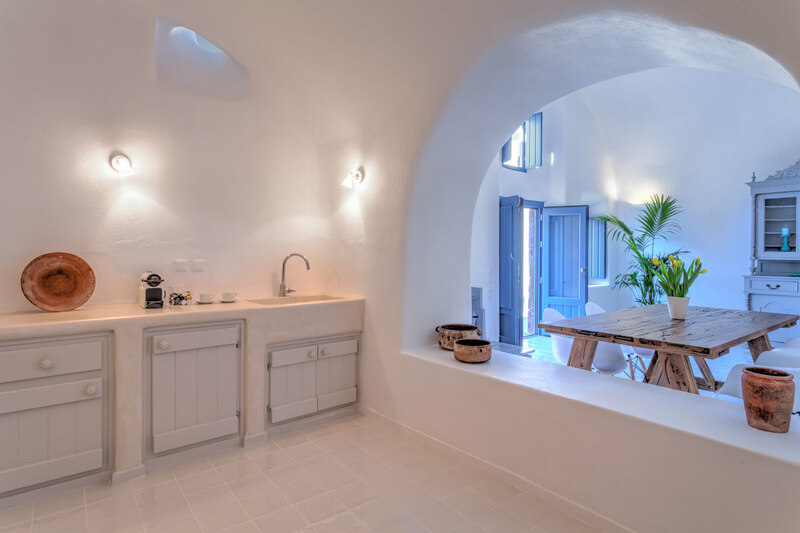 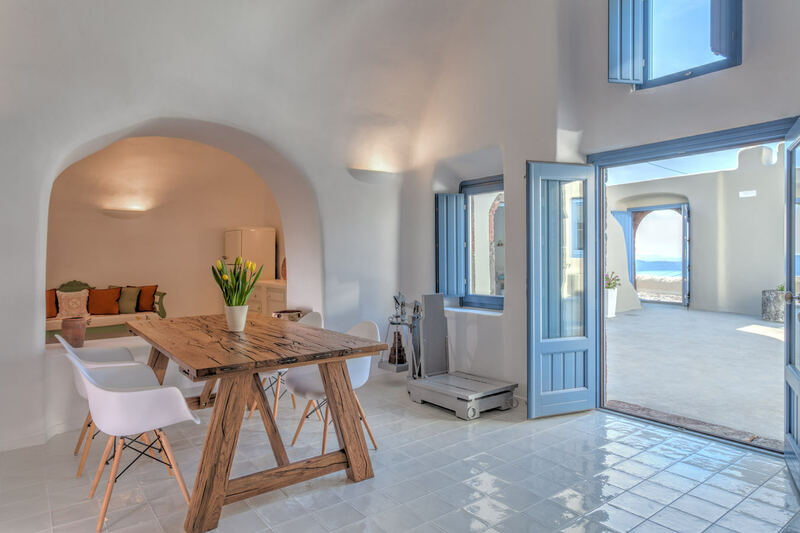 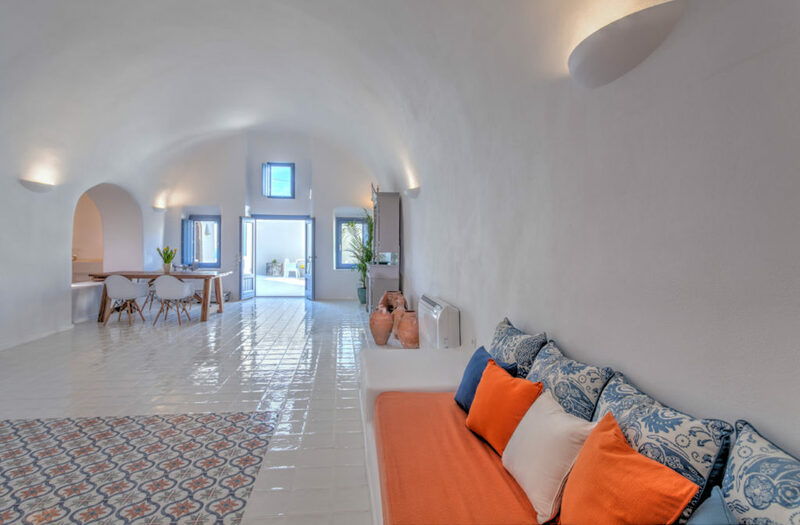 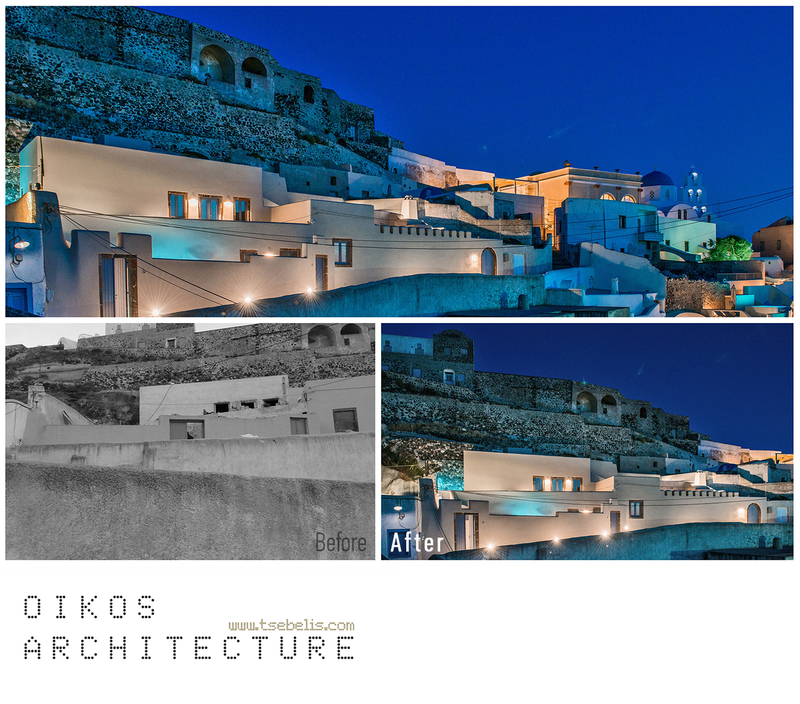 The renovation started from an old canava which has been transformed into a luxurious villa in harmony with the picturesque environment of Pyrgos. 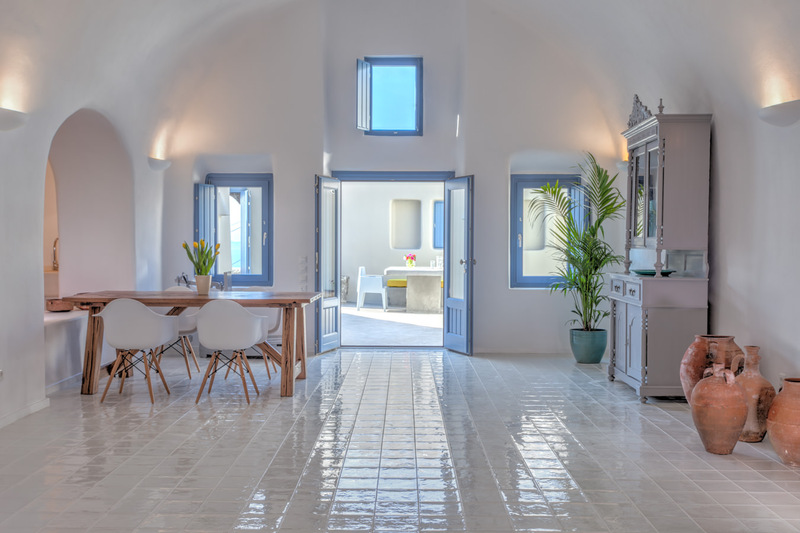 Architects’ main concept was to maintain the traditional island architecture and combined it with modern design, comfort, elegance and luxury. 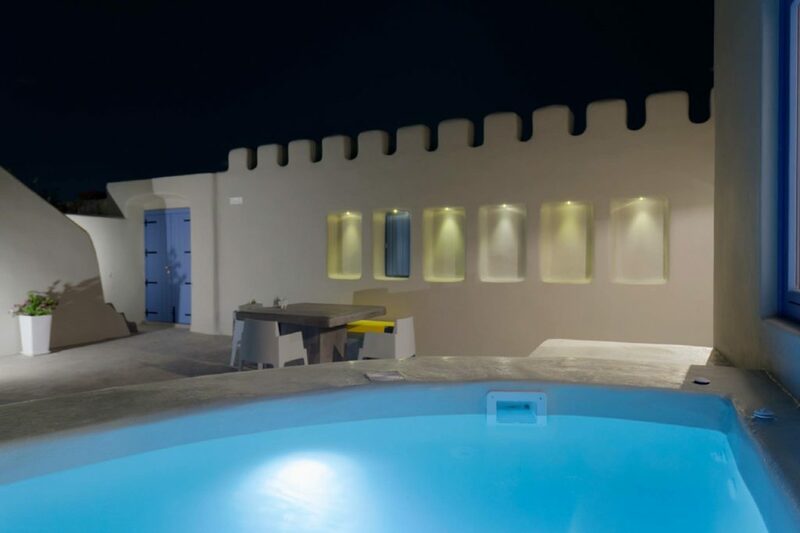 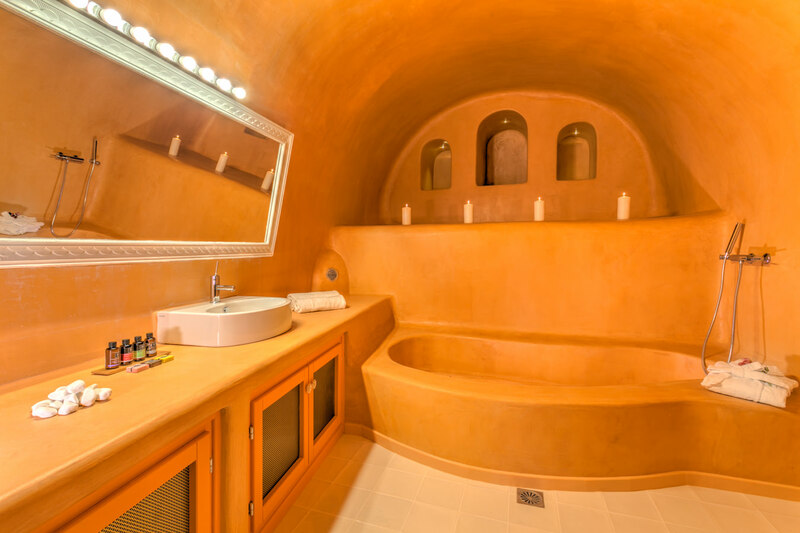 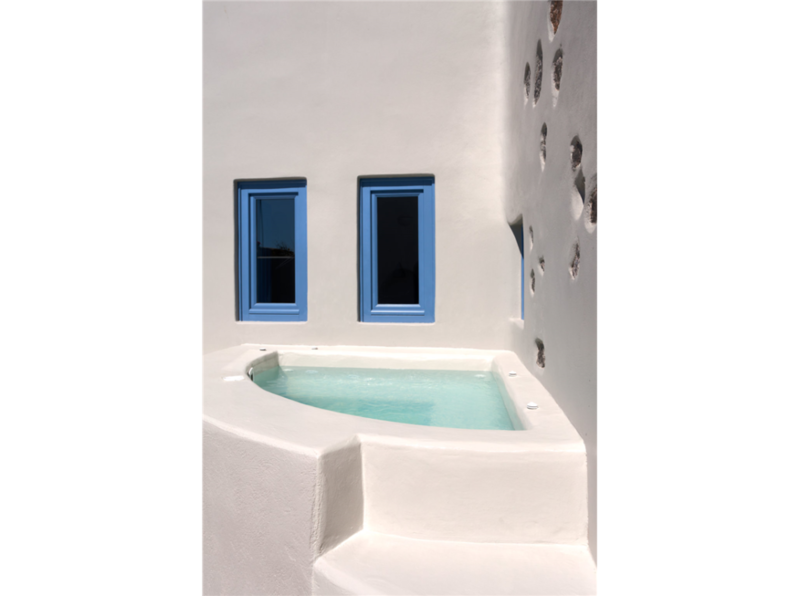 The villa consists of two traditional suites, with an outdoor heated Jacuzzi and two large patios. 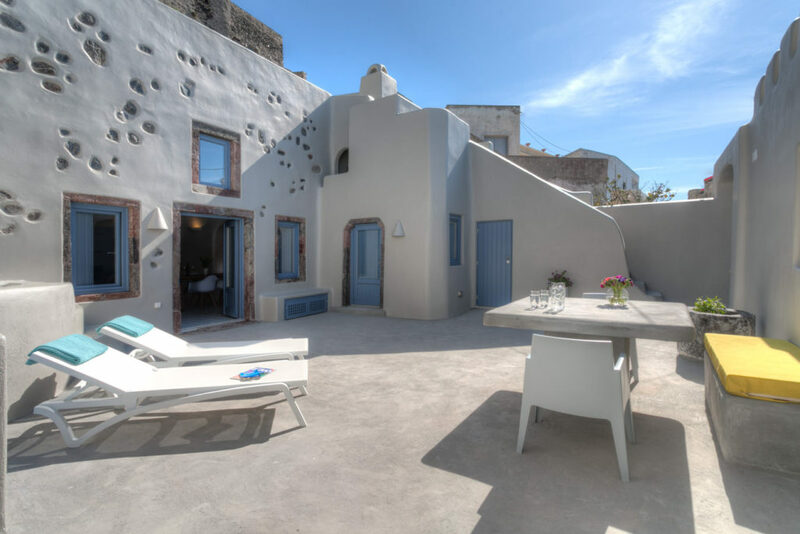 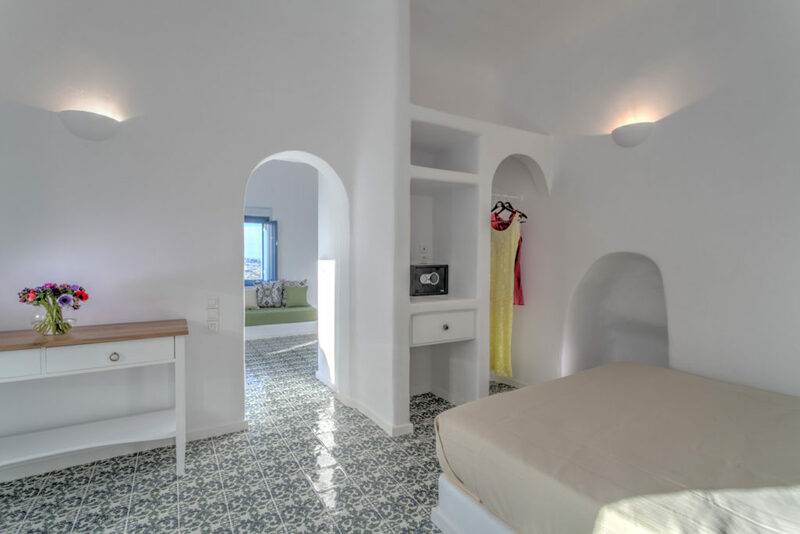 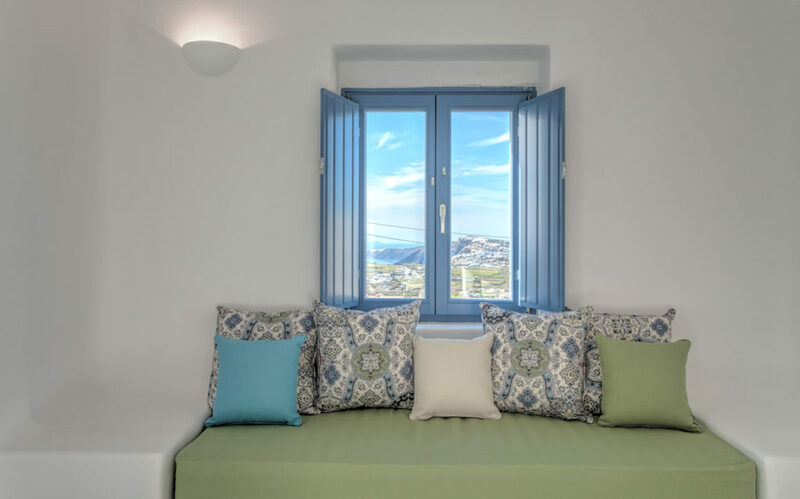 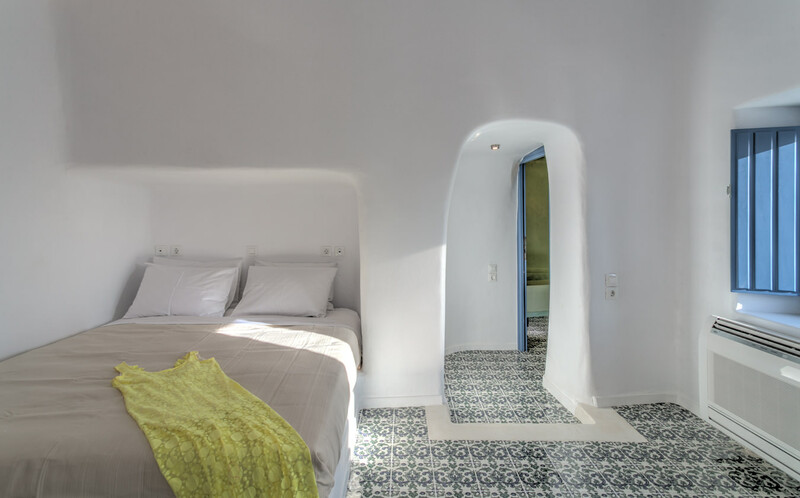 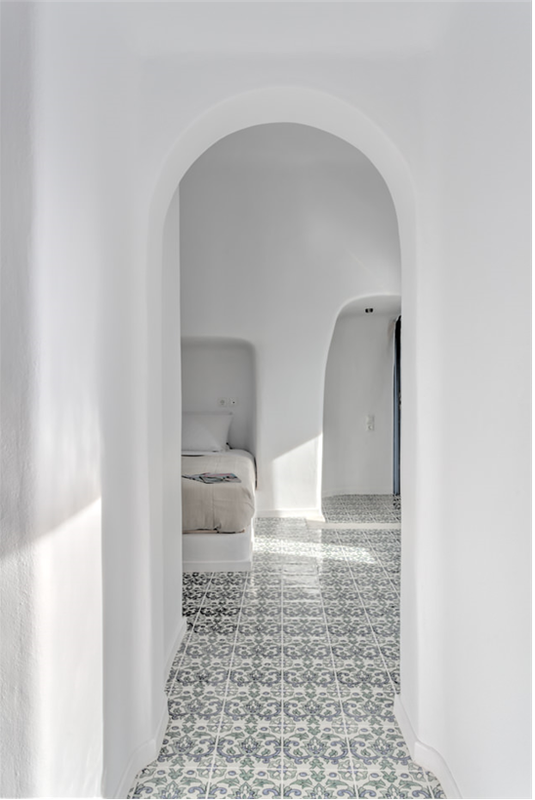 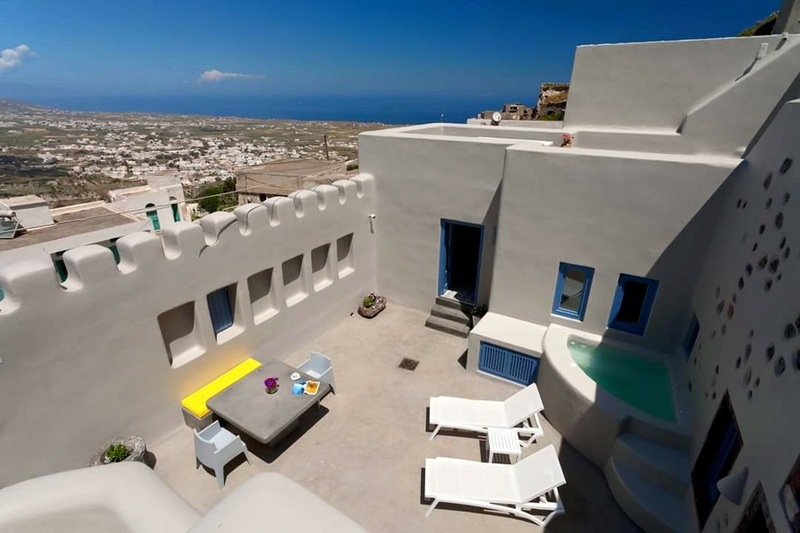 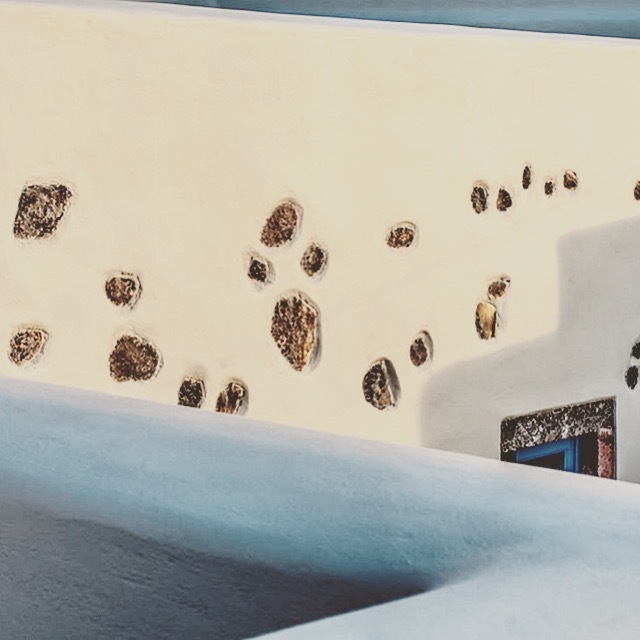 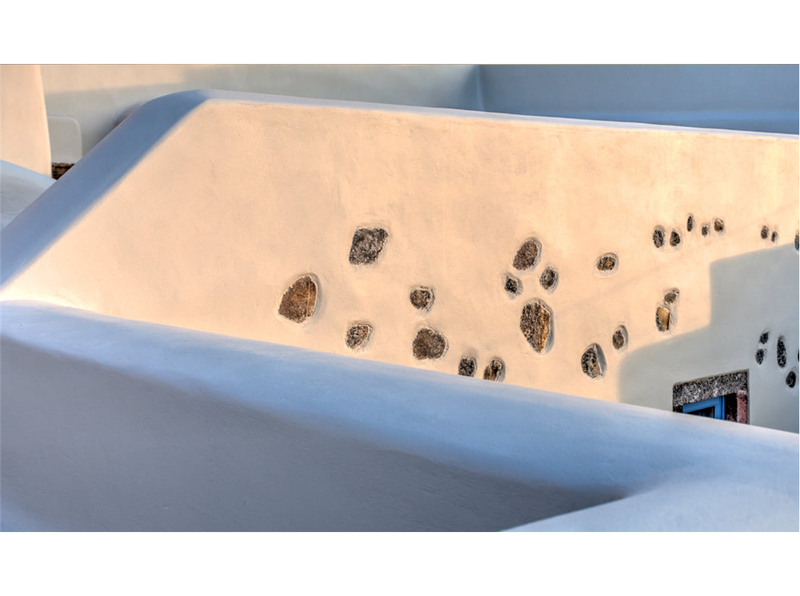 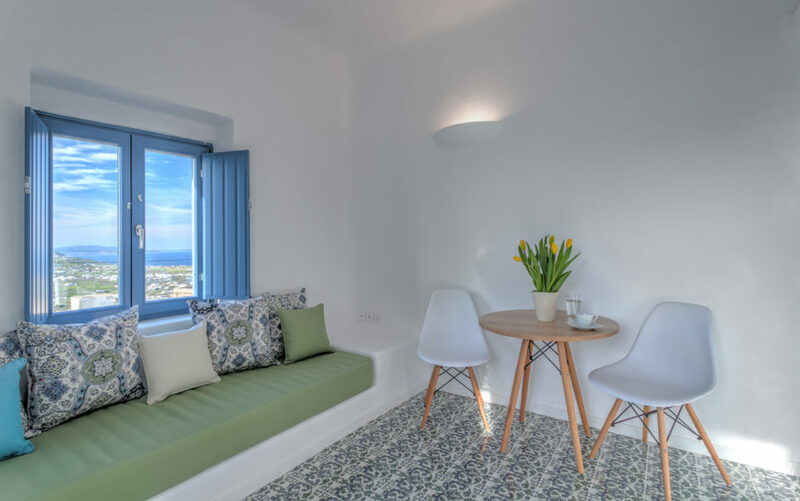 Both the suites and their outdoors respect the traditional architecture and outline the charm of Santorini thanks to modern details.